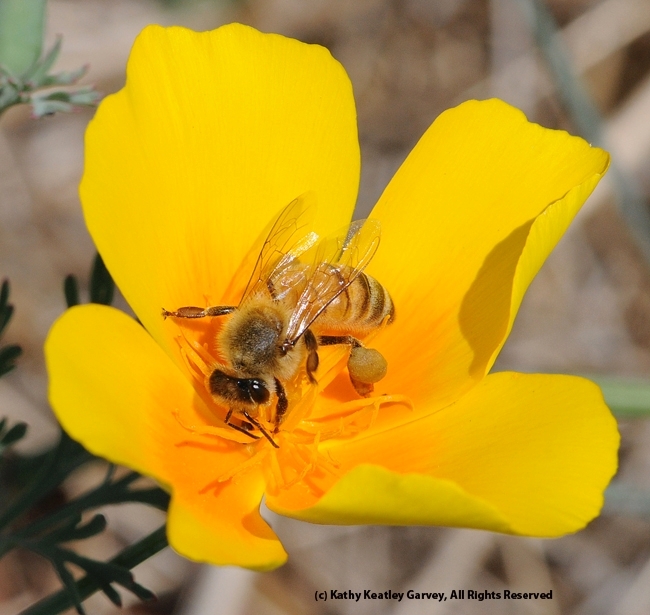 Celebrate the Bees on National Honey Bee Day! 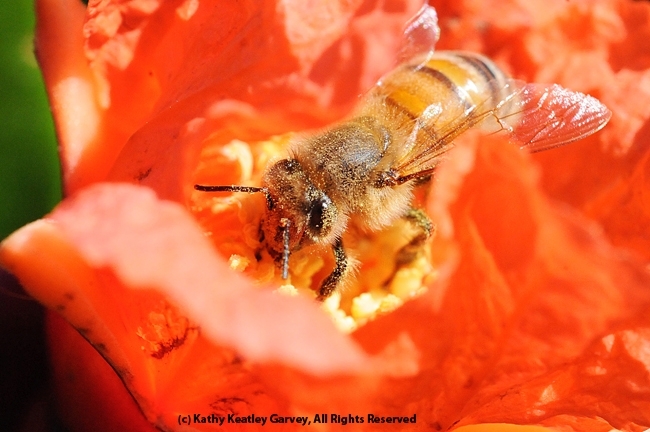 If you appreciate honey bees--particularly their pollination services--then you should thank them. 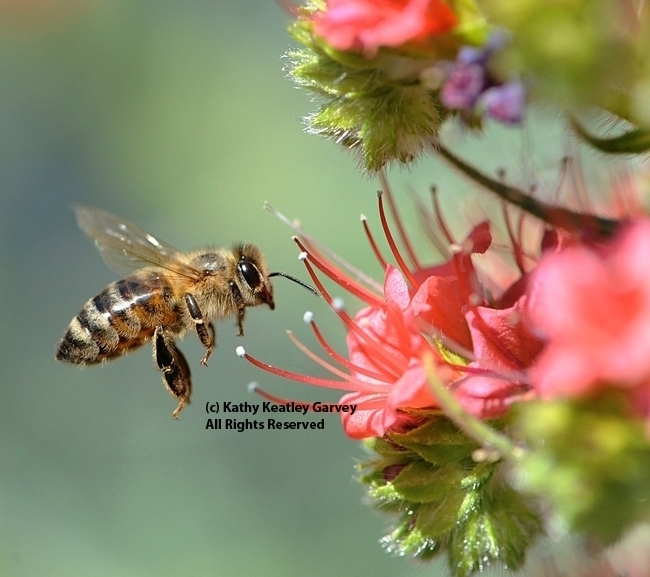 Not just on National Honey Bee Day, which is Saturday, Aug. 16, but every day. 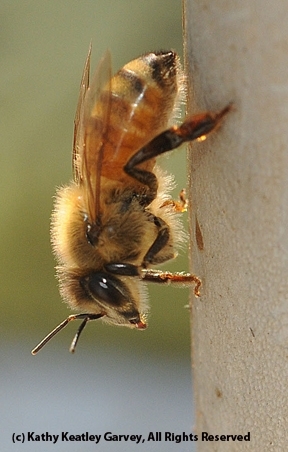 Some grassroots-minded beekeepers established the day in 2009 "to build community awareness of the bee industry, through education and promotion," according to their website. "Our commitment is to continue that philosophy." "Oh, but I'm just one person!" you say. The NHBD's response to that is a quote from Edmund Burke (1729-1797): "No one could make a greater mistake than he who did nothing because he could do only a little." Here's what we did: We removed our lawn: no lawnmower, no edger, no lawn. Our garden is a bee garden. We planted lavender, artichokes (and let them flower), catmint, alyssum, cilantro, cosmos, tower of jewels, zinnias, guara, blanketflowers (Gallardia) sunflowers, Mexican sunflower (Tithonia), lantana, California golden poppies, honeysuckle, salvia, oregano, African blue basil, sedum, peach, tangerine, pomegranate, lemon and other bee favorites. A drip irrigation grid system, timed to turn on at 4 in the morning, keeps the plants healthy, and the nectar and pollen flowing. It's a veritable oasis. It's a welcome mat. It's a pool of floral resources. C'mon in, the flowers are fine! It's also important to select seasonal plants, especially for late summer and fall, when food resources are scarce. Avoid pesticides. Buy local honey. Support the bees. Support the beekeepers. 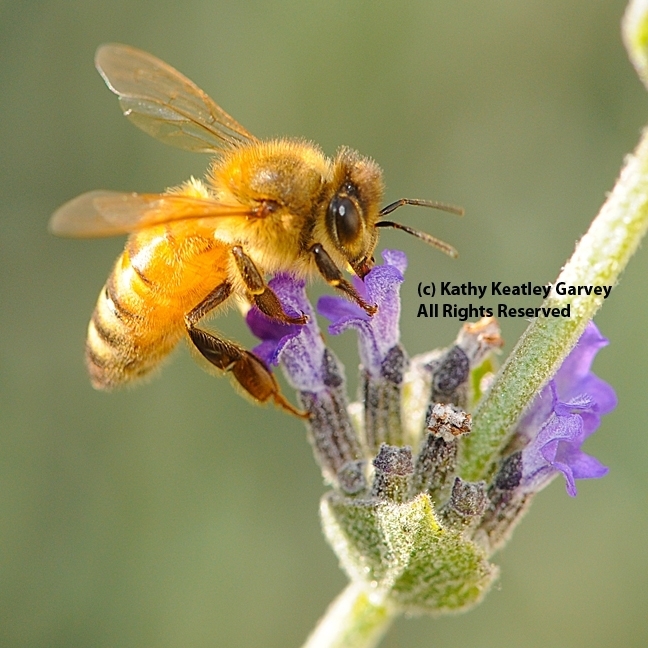 Become a beekeeper or let beekeepers maintain their hives on your property, if you can.